Immediately following a concussion, memory loss, blurry vision, loss of consciousness, and confusion are common. These symptoms can go away fairly quickly, making it easy for someone to think he or she has recovered. However, for those who experience repeated head injuries, there can be long-term neurological complications, says Charles Adler, MD, PhD, a neurologist in the Neurology department at the Mayo Clinic in Scottsdale and member of the International Concussion’s Scientific Advisory Board. He recently spoke with us about the underlying damage that can be done after repeated head injuries, and how players can protect themselves from long-lasting effects. Dr. Adler says some abnormalities show up immediately after a head injury. Sometimes they don’t resolve at all, while in other cases they seemingly resolve but then evidence of neurodegenerative and behavioral disorders show up at a later date. There is also evidence for chronic traumatic encephalopathy, which can lead to both behavioral and neurodegenerative disorders. While conversation around young children and head injury is common, people of every age are at risk. “There is a lot of concern that younger age groups are at greater risk because the brain is still developing. Certainly, with young children, you have some reason to believe that there’s a potential increased risk. But I believe there’s a risk at any age of concussion, especially multiple concussions, leading to neurologic syndromes in the future,” Dr. Adler says. What plays more of a role than age is activity level. Those who are very active or play contact sports are at greater risk of concussion, due to the nature of the activities. There is also an increased risk if someone resumes their activity level too soon after a head injury. To prevent injuries, it’s important for parents and coaches to educate themselves on the key concussion indicators, as well as what to do after a suspected concussion and the importance of returning the athlete to competition after a concussion safely. Difficulty with memory and other cognitive functions are common symptoms of neurodegenerative disorders, which can occur after repeated injuries. This can include the ability to concentrate, pay attention and multitask, as well as being able to comprehend when reading or hearing things, Dr. Adler says. Additionally, difficulty with the following motor skills may also indicate the development of a neurodegenerative disorder: overall weakness, slow movements, tremor at rest, difficulty with walking, dragging a leg, shuffling the feet, and persistent and progressive twitching of muscles. There are medications that can treat symptoms of cognitive impairment and Parkinson’s-like symptoms; however, there are currently no treatments that can cure or stop the progression of neurodegenerative disorders, Dr. Adler says. There are some medications that can potentially slow cognitive abnormalities, and researchers are currently studying medications that can slow the onset of motor abnormalities. If an individual has already experienced multiple head injuries, there is currently nothing a healthcare provider can to do prevent the onset of a neurodegenerative disorder. Dr. Adler says this is why continuing research is invaluable and preventing concussion from the beginning is important. Researchers are currently working to understand how best to prevent neurological complications. This includes looking into when it is safe for athletes to return to play after an injury to reduce acute and chronic problems, clinical trials to improve function after an injury and research on biomarkers. For additional information on concussion symptoms, diagnosis and treatment, visit our resource library. 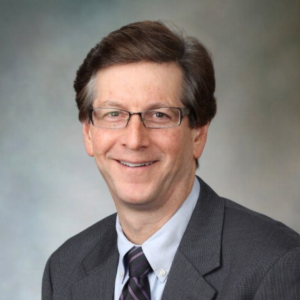 Charles Adler, MD, PhD, is a Scientific Advisory Board Member of the International Concussion Society. The International Concussion Society sponsored website Concussion.Org is the number one destination for information related to concussion prevention, diagnosis and treatment. Our mission is to serve medical professionals, athletes, administrators, coaches, patients and the public by providing a central repository of accurate and scientifically vetted concussion research. Working alongside our world-class Scientific Advisory Board, Concussion.org aims to be the most trusted global index on one of the most common, yet least understood, forms of traumatic brain injury. If you would like to be interviewed for an influencer profile, please fill out this form.